Flurry's latest figures show that developer interest in Apple's ecosystem has been consistently higher than that for the Android platform. 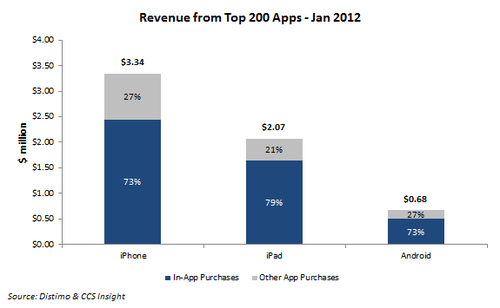 The primary reason for this is not Android fragmentation, but app monetization. Monetization has consistently been Android's Achilles heel and it is the single largest threat facing the platform today. Let's take a look at the reasons for Android's underperformance and Google's potential solutions. By most estimates, revenue generation for the Google Play Store lags far behind that for the Apple Appstore and even the Amazon Appstore. According to a study by Distimo & CCS Insight, the Google Play Store generated just 12.5% of the revenue of Apple's App Store (iPhone & iPad). Data from Flurry also shows that the Amazon Appstore generates much higher average revenue per user (ARPU) than the Google Play Store. In fact, the Amazon Appstore supposedly generates nearly as much ARPU as the Apple Appstore. Google, on the other hand, could not afford to use this strategy on the Android platform, as it was meant to target consumers across geographies and income levels. Most emerging market users are uncomfortable divulging their credit card details and some do not even have access to credit cards. In addition to this, acquiring credit card details has never been as much of a focus area for Google as it has been for Apple & Amazon since their core revenue models have always been different. Google has always focused on advertising to drive revenue, while Apple (via iTunes) & Amazon have focused on content sales. Google does offer developers advertising options to monetize free apps, but that would mostly generate enough revenue only for popular apps with millions of users. This is one of the reasons why larger developers like Rovio release apps on Android & iOS at the same time, while smaller developers start on iOS first before moving on to Android. 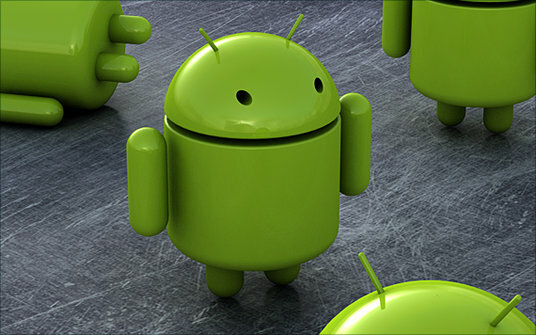 In contrast with the figures mentioned above, certain app developers have stated that their Android apps generate as much ARPU as iOS apps and sometimes even higher. Spry Fox, TinyCo, Glu Mobile & Robot invader have all reported that their ARPU from the Google Play Store is comparable and sometimes even higher than that on the Apple App Store. The primary reason for the monetary success these developers have seen on the Google Play Store is a combination of free to play games, in-app purchases and most importantly, carrier billing. Carrier billing allows users to purchase digital goods, such as apps, and have the amount billed to their carrier. Users can pay this amount along with their usage charges for the month. This allows users who don't have access to credit cards and those who are uncomfortable using them with a method to buy apps or in-game content. This could be a huge revenue opportunity for developers because it gives them access to paying consumers that competing platforms cannot reach. Even if the ARPU is modestly lower, the massive increase in volume makes this a very lucrative opportunity. And now that Google has also introduced in-app subscriptions on the Google Play Store, developers now have the opportunity to generate consistent, annuity revenues from a much larger market. While carrier billing could be a huge revenue opportunity for developers and drive developer interest in the Android platform to an extremely high level, it is still limited in terms of reach. Carrier billing is available on just a few carriers in a handful of markets and hence only a few app developers have seen the benefits so far. The potential of carrier billing can only be realized if it is rolled out on a large scale in every major market, which is difficult to execute. This could be one more major reason for the Google-Motorla deal, as Google could use Motorola's access to carriers to speed up the adoption of carrier billing for app purchases. Google's most likely strategy will be to focus on major markets with large base of users and slowly spread to other markets. Conclusion - The Android platform has been lagging behind competition in terms of monetizing apps, but still holds the advantage of a large install base across geographies & demographics. Android can use carrier billing to boost app revenue, which could spike developer interest, but quickly scaling this model to carriers worldwide could be a challenge. Loved the post...nice write up... I would like to add some points like Pre & Post Launch Marketing strategy, which I have discussed in my posts @ http://creatiosoft.com/forum/forumdisplay.php?fid=11 ... Would love to have your comments and feedback if any to make my posts more interesting and useful.